Despite having oodles of cute outfits for my babies, when we stepped out in public all that people really saw was the muslin wrap that the baby was swaddled in. 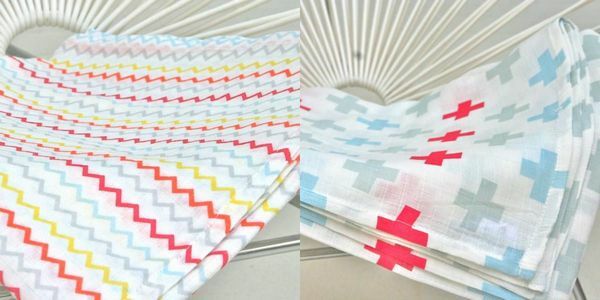 That was some years ago and one significant thing has changed – instead of just plain white, muslins are available in a huge range of gorgeous colours and patterns. 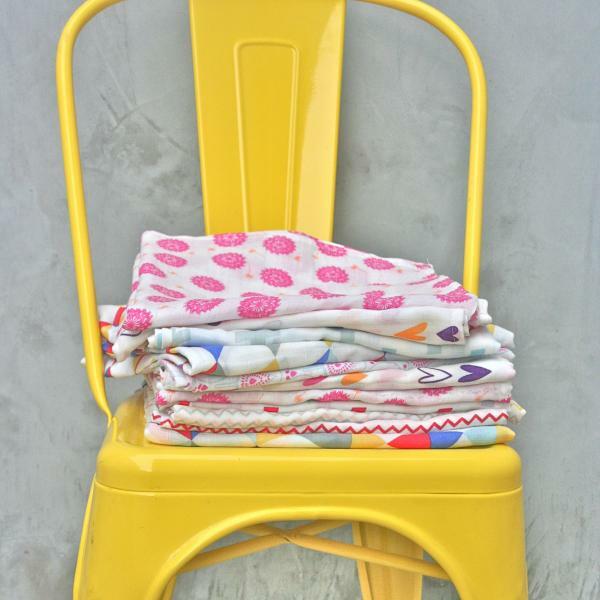 Drop by And the Little Dog Laughed for muslin wraps in fresh summer prints. There are six new designs – three for boys and three for girls, although the bright ‘boys’ patterns are truly unisex. My pick is the stunning Crazy Triangles design and for girls, the delicate pink Dandelion print. The wraps are generously sized at 120cm square and are made from a light, open weave fabric that allows baby’s skin to breathe when swaddled, preventing overheating whilst still allowing room to move. 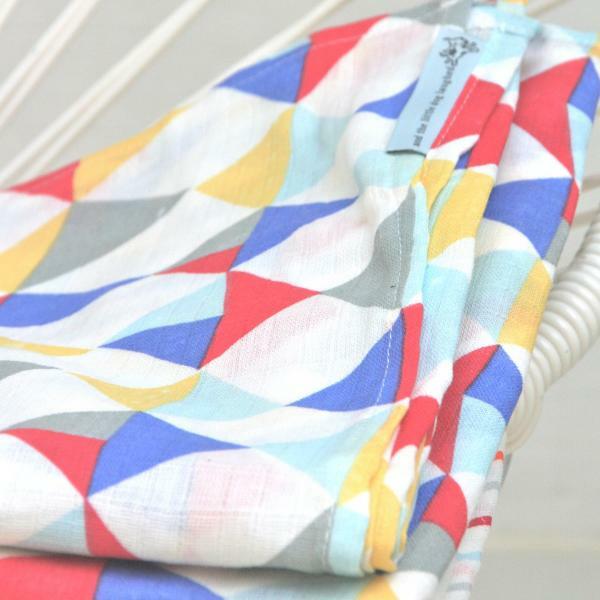 Not just for wrapping, they’re also ideal for throwing over the pram to shield a sleeping baby from prying eyes or the sun and as a privacy aid when breastfeeding. Each pattern is available in either a single or co-ordinating double pack and are priced from $24. Buy online at And the Little Dog Laughed.